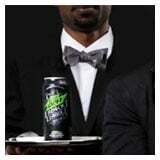 PepsiCo recently revealed Mountain Dew Black Label, a “deeper darker dew”, that the company says is made with “dark berry flavor, real sugar, and herbal bitters”. And the company has also begun rolling out its new “craft” sodas, 1893 Original Cola and 1893 Ginger Cola, named for the year when Pepsi was founded (see more below). The new brands follow other attempts to emphasise authenticity at the company. In recent months, PepsiCo launched the vintage-inspired sodas, Caleb’s Kola and Dewshine, while in January, it announced plans to open a “restaurant-bar-event space” called Kola House in New York City, intended to offer customers the premium soda experience. Pepsi isn’t the only soda giant trying to go craft. Last year, Coca-Cola created a “craft beverages team,” and has recently been pushing smaller glass bottles. Soda is on shaky grounds, as the total volume of soda consumed in the US dropped 1.2% in 2015, with Pepsi dropping 3.2%. A large part of this cut is due to concerns regarding nutrition — a negative stigma that an association with nostalgia, authenticity, and craft could combat. So, as Big Beer tries to imitate independent brewers’ marketing, Big Soda is doing the same. Craft beer companies haven’t seen the imitation as very flattering. “We support craft, and craft breweries should be independent, not bastardised by mega corporations who will compromise the quality of the beer to cut corners, cut people, and make a profit,” Sarah Warman, the craft brewer BrewDog’s head of marketing. While the attempt to appropriate tactics from craft may be annoying to some, the decision ultimately has the power to hurt Pepsi the most. Pepsi seems to have forgotten that to get customers to perceive a product as trendy and craft, it actually has to be authentic….. The line between soda and booze marketing is getting about as blurry as a Sunday morning hangover. Witness the debut ad for Pepsi’s new 1893 premium soda brand, which uses a sommelier character who peddles the beverage like a fine whiskey or wine. The ad is meant to be humourous. But it underscores a serious marketing strategy by PepsiCo, which is trying tap into the mixology trend….